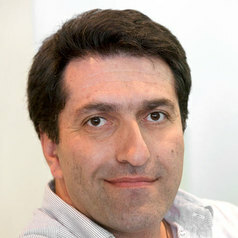 Dr Archil Kobakhidze received his Ph.D. in Theoretical Particle Physics in 1997 from the Javakhishvili Tbilisi State University. He was working in different universities in Europe, USA and Australia, before joining the University of Sydney as a Senior Lecturer in 2012. Dr Kobakhidze's main scientific interests focussed on theory and phenomenology of particles physics, gravity and cosmology. He is the author of more than 50 scientific articles.